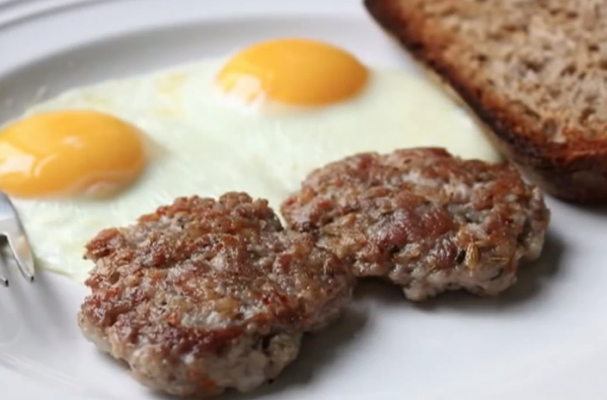 Breakfast eaters fall into two categories: either you opt for bacon or sausage. Bacon lovers find the smoky salty strips of pork irresistible while sausage aficionados prefer a juicier piece of meat with a little more heft. If your mom happens to be in the sausage category, then preparing homemade sausage patties for her is a no-brainer. This recipe begins with combining ground pork with Italian herbs, fennel seeds, orange zest, nutmeg and pepper. Just like with meatballs or burgers, you will want to handle the ground meat as little as possible so the patties remain tender. You can serve your breakfast sausage along with eggs and hash browns or tuck them into waffles for a waffle sandwich.